Did America just have its “kindermoord” moment? Last night in New York City 1,000 people gathered for what’s being called the largest rally for street safety and vision zero in U.S. history. We followed it online and saw an inspiring scene: A sea of yellow shirts; a gurney adorned with 23,463 yellow flowers — one for each injury that has happened on New York City streets so far this year; and a diverse group of people from every social, ethic and cultural background. “This is our city, This is happening on our streets. It is our collective responsibility to come together and eliminate so much unneccessary and preventable suffering. 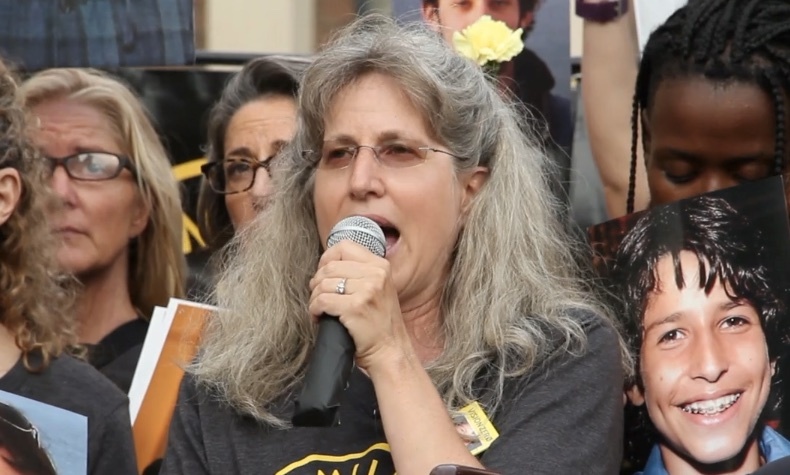 Let’s refer to the incidents that cause this silent epidemic as crashes, not accidents.” – Amy Cohen, Families for Safe Streets. “We share the same pain. 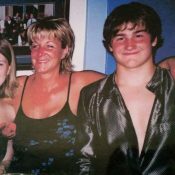 We share the same hurt. Enough is enough! 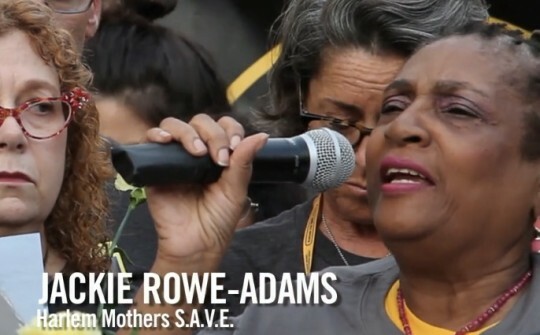 Enough is enough!” – Jackie Rowe-Adams, Harlem Mothers S.A.V.E. 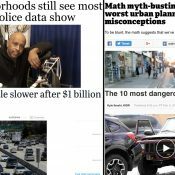 “Do we want to live in a city, where even when we are perfect pedestrians or cyclists, cars can still injure, maim or kill without consequence? I, for one, do not.” – Cara Cancelmo, Families for Safe Streets. 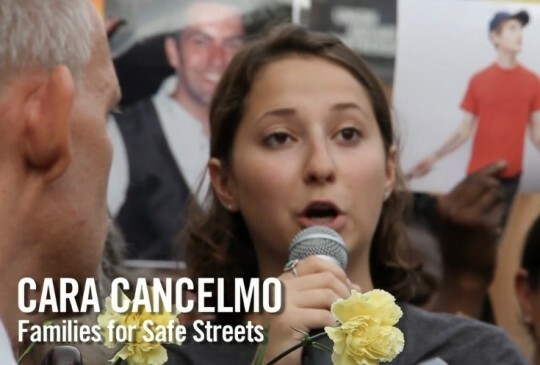 Transportation Alternatives, the advocacy group that helped organize this event and who has been behind much of New York City’s safe streets movement, is focused on one clear call to action. 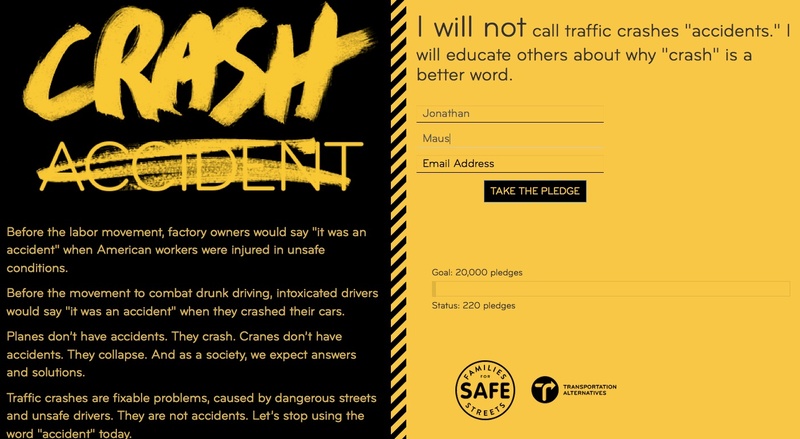 They want everyone to stop using the word “accident” and replace it with “crash”. They’ve set up an online pledge form in hopes of getting 20,000 signatures. Words are powerful and they often shape political dynamics and public discourse. What is the reaction from Staten Island? It is very treacherous on those roads but they have many trails. At least one bridge from New Jersey to Staten Island is being rebuilt to get various overhauls including a pedestrian / bike path. On the question of crash vs accident, our use of the term accident has a long and fascinating history. In fact Judith Green has written a book on the subject. 1000 people. 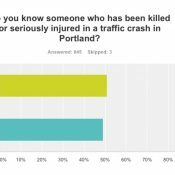 If only all of the pedestrians and cyclists who were injured in traffic crashes in the past decade showed up, we would have nearly 500. Per-capita, that thousand (1% of 1%) would be about 70 Portlanders, or slightly less than the turnout for the 8am rally at city hall last month. Maybe we could get some of the ~150/year injured drivers to join in at the next one? 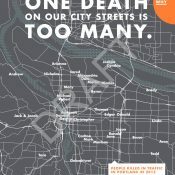 Also statistics: per-capita, NYC has 6x the injuries of Portland. Kudos to Charles Komanoff, who is a founding member of Transportation Alternatives and Right of Way in NYC, and to all the other dedicated activists in that city who have kept this issue in the news and the city’s feet to the fire.